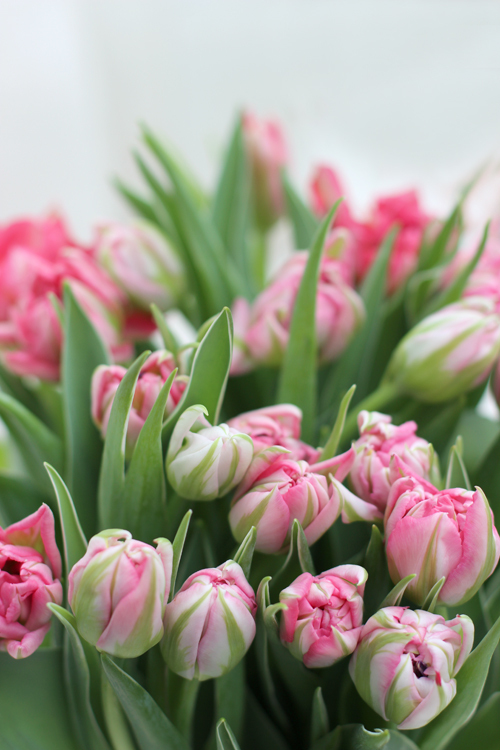 This week on 'Creative with Flowers' - I'm featuring some amazing double multi-coloured pink and green tulips. "This series of blog posts - called 'Creative with Flowers' - are about using flowers in new and creative ways. It could be about how the flowers are combined - maybe in a little bit of an unusual way. It might be the choice of vase - maybe not a vase at all but a container that could be anything from jugs, bottles, jars, tins or teapots - vintage or new it doesn't matter. As always my arrangements will be quick and easy - and there will always be lots and lots of colour!" 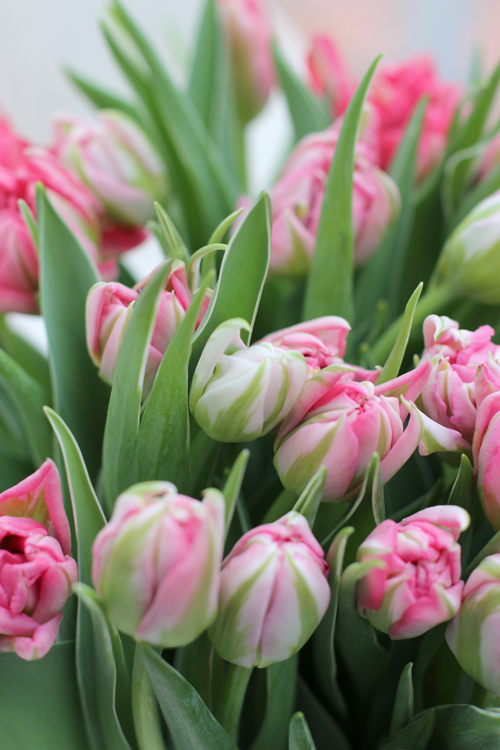 These delicately coloured pink and green tulips are so delightful both in colour and shape that I didn't want anything to compete with them. 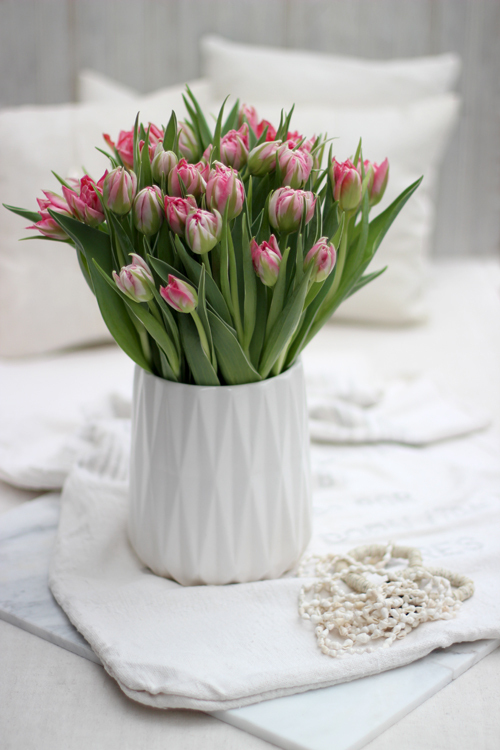 I used a large white vase that has an interesting texture on the outside. I picked it up for very little money from my local charity store. The vase is big enough to hold quite a lot of stems. I have cut the stems at slightly different heights - taller in the centre and shorter around the sides. I choose to combine them with only white - BUT white with texture. 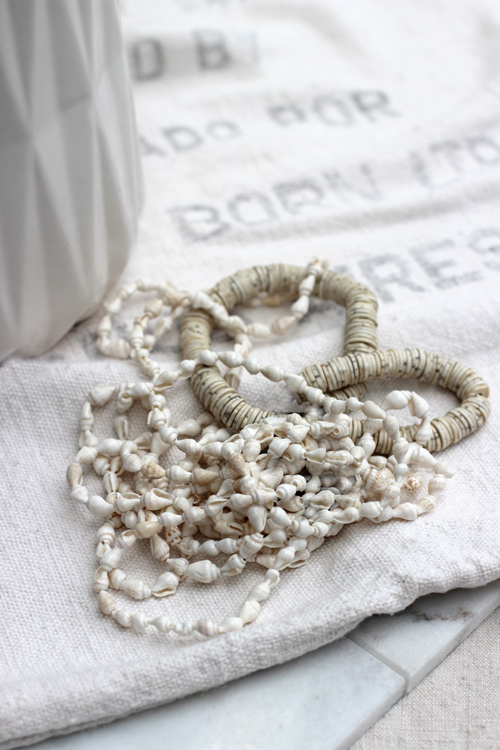 I picked out two necklaces both made from shells. Underneath is an old sack from my grandparents country store in Sweden - it has interesting writing on it and it has a coarse and interesting texture in the weave. In the background are three little cushions made from vintage fabrics and quilts. 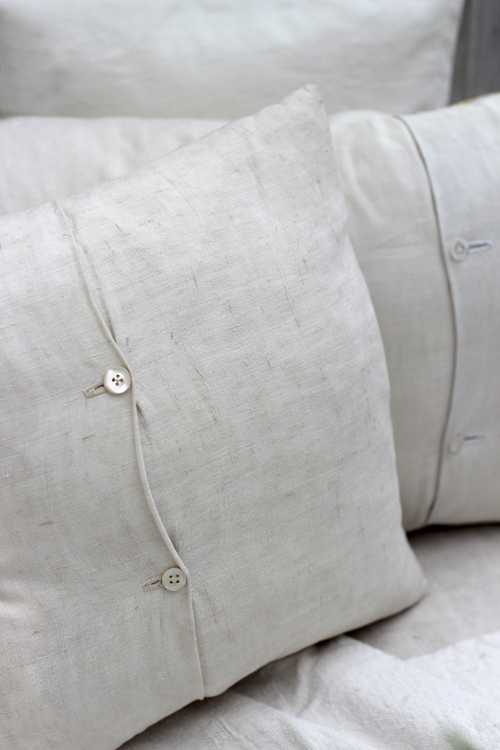 The backs of the cushion has sweet little mother of pearl buttons. 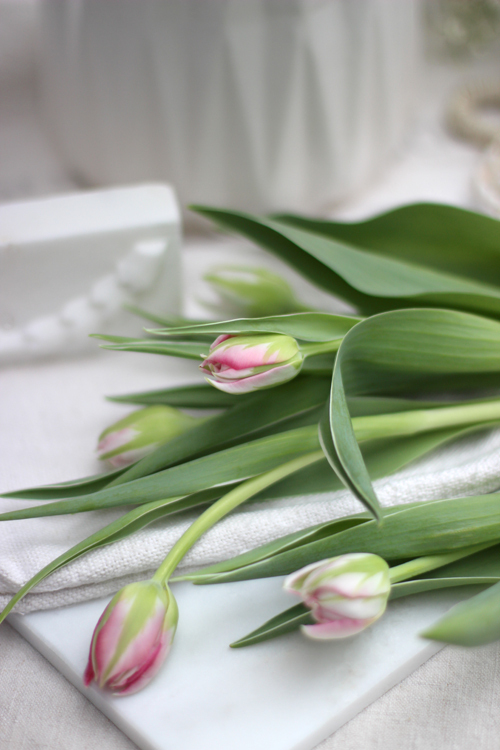 I have used these tulips en masse - there are nearly thirty of them - surrounded by all white. It looks light and refreshing and so right at this moment in time. If only for the simple reason that I hope spring will soon be with us!! Thank you for visiting 'Of Spring and Summer' - I will be back on Friday with another 'A Bunch for the Weekend' all about how to make a lovely bunch of flowers to enjoy over the weekend.